The Courtneys drift back to the sound of the early ’90s, drawing from strong influences including Teenage Fanclub, Pavement, Eddy Current Suppression Ring, and The Clean. Courtney Loove’s dreamy guitar riffs add a timeless powerpop element to the punk backbone formed by Sydney Koke’s driving basslines, while drummer/lead singer Jen Twynn Payne delivers heartfelt lyrics with a powerful vocal style. These components come together through a passionate collaborative songwriting process to deliver a special blend of fuzzy “artisanal grunge”. 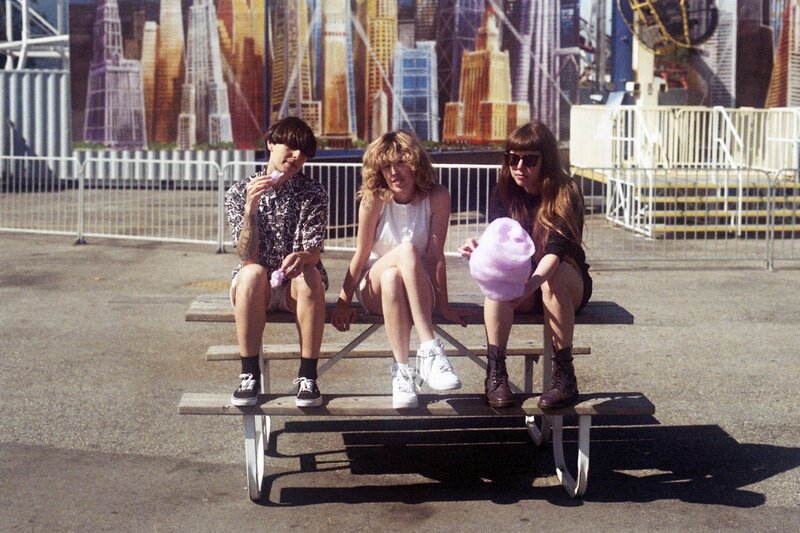 The first Courtneys album (self titled) came out in 2013 on small independent label, Hockey Dad Records, based in the band’s hometown of Vancouver, BC, Canada. They have since worked with a number of independent labels including Conquest of Noise in Australia and Waterslide Records in Japan, as well as Burger Records and Gnar tapes in the USA. They have released a number of singles and music videos, and toured throughout Canada and the USA, including spots supporting Tegan and Sara and Mac Demarco.